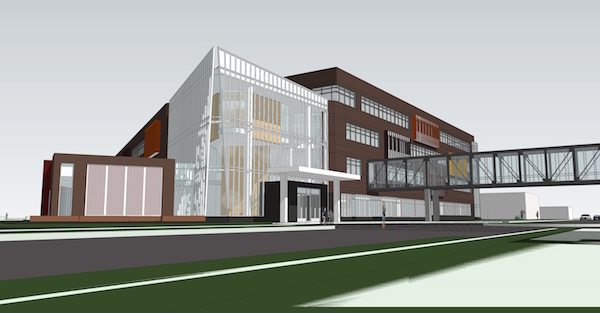 Business newspaper Finance and Commerce recently published an article covering Augsburg College’s successful private funding campaign and future plans for building the Norman and Evangeline Hagfors Center for Science, Business, and Religion. 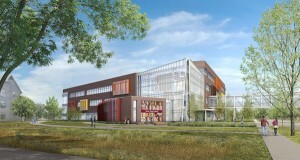 The article states that the Center will more than double the school’s capacity for physics majors as well as provide new facilities for their biology, business, chemistry, computer science, math, psychology, and religion departments. The article states that Augsburg hopes to begin construction in May and complete the building in time for spring semester classes in 2018. Currently, the building’s design is being developed. While preliminary drawings have been made available on the college’s website, a final design has yet to be approved by the school’s board. The building will be built on Seventh Street South between 20th and 21st avenues. Read: Augsburg preps for $73M multi-discipline center on the Finance and Commerce site (subscription required). 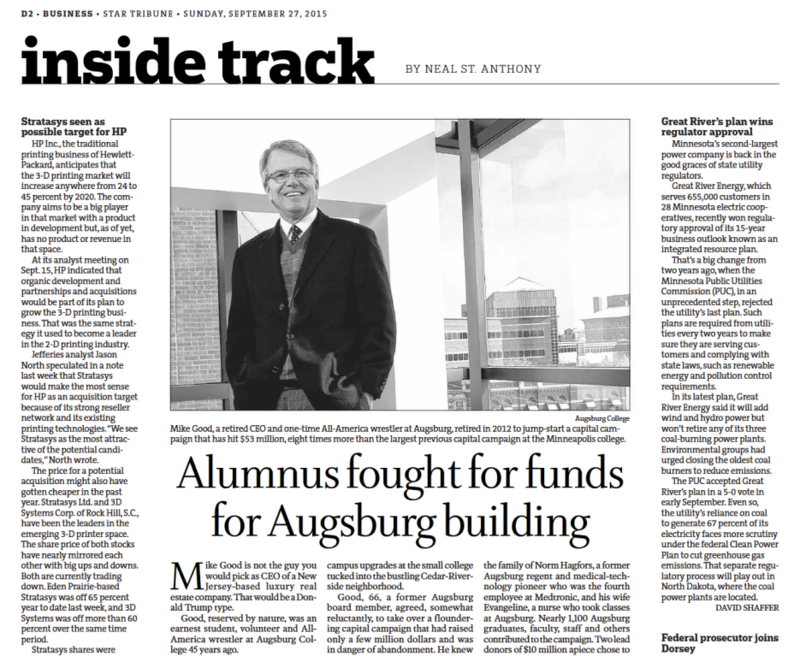 The Star Tribune’s Neal St. Anthony on Sunday, September 27, wrote a profile about Augsburg College Regent Emeritus Mike Good ’71 and his exemplary leadership as chair of the College’s successful capital campaign for the Norman and Evangeline Hagfors Center for Science, Business, and Religion. 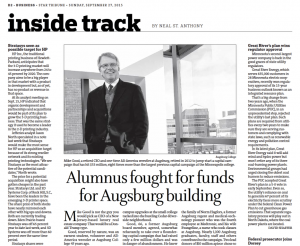 St. Anthony reported that Good retired early in 2012 to “take on for Augsburg’s Board of Regents what Good considers a challenged that transcended his athletic and business career.” Under Good’s leadership, the capital campaign met its goal by exceeding $50 million.